Since 4-5 months ago, I've this neck problem...It hurts whenever I turn my head to the right or left. I have difficulties whenever I have to reverse the car. I told my golf buddies about this and, as expected, the reason given was 'silap bantal'. Pity the pillow for being the root cause of my problem! Well, I make them happy since they don't have to contribute 50 cents for my RM1.50-ice Nescafe at our favourite haunt - D'Kembung. Before this, being a good golfer, they had to subsidise my drink...He...He....He. Anyway, now let's be serious. 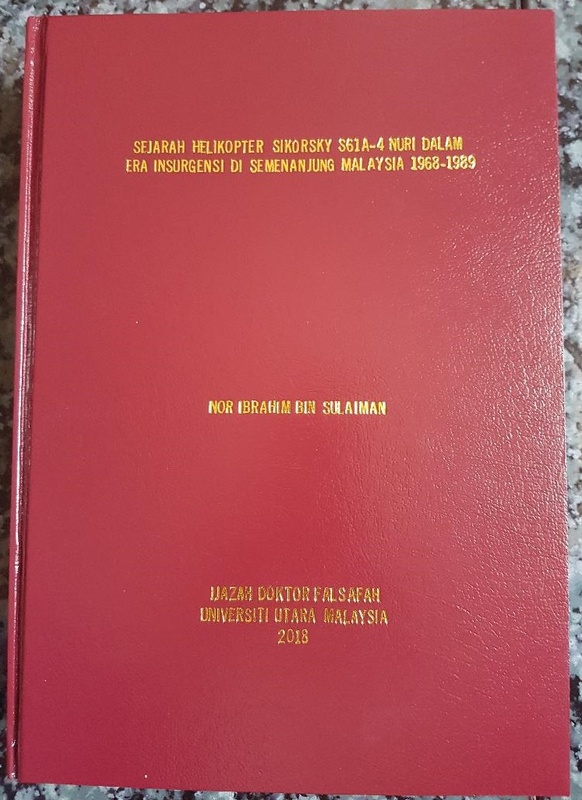 I asked my physician-brother at Hospital Raja Permaisuri Bainun, Ipoh, during the recent Hari Raya Aidilfitri of the likely cause of this 'discomfort'. 'Bang....that's the symptom of degeneration of the bones- cervical spondylosis. A process of ageing'. My understanding is that the bones are 'thinning' out due to wear and tear. In simple Malay ...tulang dah haus. He asked me to have my neck x-rayed. But of course, I didn't take much heed of his advice till last Thursday. On that day, while typing at the computer, the palm of my left arm became numb. It lasted for a few hours. The first thing that came to my mind was....Am I experiencing heart problem? Through reading and tales from friends, numb=heart attack. However, I didn't experience excruciating pain on the left side of the chest and there was no sweating at all. So, my deduction was that I'm not having heart attack. I told my wife that I'd go to RSAT the next day. 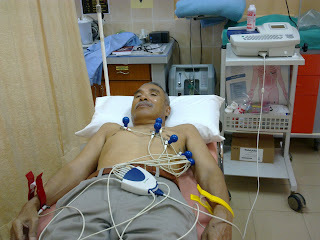 ECG reports indicated my heart is normal for a 62 years veteran....so far so good. The next step was to x-ray the neck. The result confirmed my brother's suspicion...degeneration of C3 through C7! Remedy? None and I've to live with it throughout my entire life. Medication? None except that he gave me vitamins, calcium tablets and a cream to relief the joint and muscular pains. Massage? OK but only lightly and No...No...No the twisting of the head as practised by the Indian barbers. (You can try at the barber shop next door the 'Yat San Restaurant', Taiping. You can hear the 'krup....krup' sound). Anyway, no matter what....Syukur Alhamdulliah. Frankly, I never like to take supplements like calcium or whatever. Maybe I should take 'Anlene'...who knows I may be picked as a co-actor of Datuk Michele Yeoh doing all those stunts. And, I've to find a new technique in my golf swing. I won't let my golf buddies have the pleasure of enjoying their drinks at my expense. He...He...He. Readers...Joke aside, take care of your health. You may have an 'everest of wealth', but if you're not in the best of health....what a waste! On the positive side, let others enjoy your toils. PS: Maaf le kali ini tulis 'london' sikit disebabkan dah nak berkarat bahasa tersebut dek lama dah tak cakap/tulis dalam bahasa tu. He...He....He. Not ICG. It is ECG - electrocardiography. The condition - cervical spondylosis equivalent to osteoarthritis which may affects other joints too e.g. knee, hip, etc. It is fall under the degenerative group of bone disorder. Cure - no. Treatment - supportive e.g. weight reduction, supplements - visco, chondroitin, glucosamine sulphate effective for large joint not the spine. Neck collar advisable if serious enough. Spinal stenosis may is a serious complication which required surgical intervention. Risk of surgery - high! depend on the surgeon skill and experience. True enough Sir, I would not recomment massage, be it light or heavy, especially traditional ones. Just to share a true 'incident', where my paman, (my arwah father's younger brother, now living in Banting,Selangor), he went for one of his usual massage sessions, with his usual masseur, somehow, got an extraordinary 'hard' massage. When my paman went back home, he subsequently suffered from some very serious nerve damage to some part of his body, and his physical movements is now very much restricted.Previously he was a normal and healthy retiree in his 70s. His doctor concluded that the damages to his nerves were caused by the harsh massage. My point is please, readers out there, be extra careful when thinking of going for a traditional massage.There could be many inexperienced or bogus masseurs out there. Any how Sir, hope your conditions can be confortably managed through medications and expert advice. Wassalam. Terima kasih di atas layanan yang diberikan kepada saya dan keluarga. Saya sentiasa menghargai dedikasi Dr dan semua staf RSAT. Terima kasih juga kerana turut meletakkan gambar nuri.